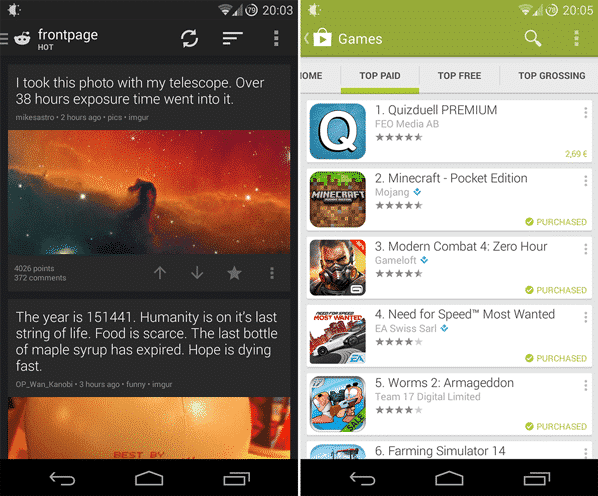 Xposed Framework is a great way to improve your Android experience. It offers many tweaks and modifications that can easily be installed. This guide includes three popular and great extensions. To be able to us these extensions, you need to install Xposed Framework on your Android phone or tablet. Please be aware that Xposed Framework does not work with Android 5.0 Lollipop. Android is not using the Dalvik cache anymore which consequently broke Xposed Framework. Using XPrivacy, you can prevent apps from sharing privacy-sensitive data. This is done by sending fake or no data at all to the app that is requesting this information. So why would you want to use this? Unfortunately, some (shady) apps require certain types of data you might not want to disclose before you can install the app. If you value your privacy, XPrivacy, is able to protect it without much hassle. You can install XPrivacy using the Xposed Framework installer or by downloading it on the official XDA thread. Tinted Status Bar is a nice visual tweak, which adjusts the color of your status bar depending on the app you are using at the moment. Paranoid Android users might be already familiar with this feature and I can really recommend trying it. I personally think that it looks really good and you should check it out! You can install Tinted Status Bar using the Xposed Framework installer or by downloading it on the official XDA thread. Running stock Android in combination with a custom kernel and GravityBox is basically like running a real stable and perfect custom ROM. 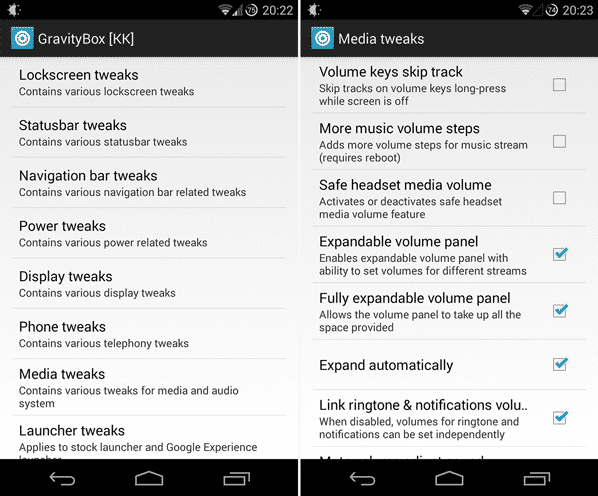 You can install GravityBox using the Xposed Framework installer or by downloading it on the official XDA thread for JellyBean or KitKat. What are your favourite Xposed Framework extensions? Share them in the comments below! Are you interested in more Android related guides? Have a look at our Android knowledge database.